16	 Dr. B.Prabasheela	 Associate Professor/ Biotechnology	 Understanding Bell's Palsy – A review. Pharmaceutical and Biological Evaluations. 2017. 4(3) 130-134. 17	 Dr. S.Vinoth	 Assistant Professor/ Biotechnology	 Seaweed Extract Promotes High-Frequency in vitro Regeneration of Solanum surattense Burm.f:A Valuable Medicinal Plant. Research Journal of Medicinal Plants	 2017 11: 134-141. 25	 Dr. B.Prabasheela	 Associate Professor/ Biotechnology	 Understanding Bell's Palsy – A review. Pharmaceutical and Biological Evaluations. 2017. 4(3) 130-134. 26	 Dr. S.Vinoth	 Assistant Professor/ Biotechnology	 Seaweed Extract Promotes High-Frequency in vitro Regeneration of Solanum surattense Burm.f:A Valuable Medicinal Plant. Research Journal of Medicinal Plants	 2017 11: 134-141. 57	 Dr. S.Vinoth	 Assistant Professor/ Biotechnology	 Evaluation of different carbon sources for high frequency callus culture with reduced phenolic secretion in cotton (Gossypium hirsutum L.) cv. SVPR-2	 Biotechnology Reports	 2015 7: 72–80. 58	 Dr. R. Devika	 Professor/ Biotechnology	 E-Waste Management-Global scenario. Elysium journal of engineering research and management. Special issue,	 20141(1), 22-23. 67	 Dr. M. Mary jee jee cruz	 Professor/ Biotechnology	 Bioefficacy of Premna corymbosa Rottl. (Verbanaceae) with special reference to its Antioxidant activity	 Int. J. of Pharmaceut. Sci. and Res. 2014 5 (9) : 3674 – 3678. 76	 Dr. S.Vinoth	 Assistant Professor/ Biotechnology	 The effect of amino acids on shoot multiplication in Cichorium intybus L.	 Journal of Swamy Botanical Club	 2014 31: 21-28. 77	 Dr. S.Vinoth	 Assistant Professor/ Biotechnology	 Analysis of genetic variability in Arachis hypogaea L. using RAPD markers	 Journal of Swamy Botanical Club	 2014 31: 29-36. 78	 Dr. S.Vinoth	 Assistant Professor/ Biotechnology	 Optimization of factors influencing microinjection method for Agrobacterium - Mediated transformation of Embryonic Shoot Apical Meristem in Cotton (Gossypium hirsutum L. cv.SVPR-2	 Int J Curr Biotechnol	 2014 2(12):35-40. 40. Dr. B.Prabashee	 Associate Professor/ Biotechnology	 Understanding Bell's Palsy – A review. Pharmaceutical and Biological Evaluations. 2017. 4(3) 130-134. 41. Ms. A. Nirmala	 Assistant Professor/ Biotechnology	 Phytochemical screening and Antihyperglycemic activity of Basella rubra. Rec. Res. in Sci. and Technol.,	 2011,3 (11) : 80 – 83. 44. Ms. A. Nirmala	 Assistant Professor/ Biotechnology	 Serological and Hematological Variations in Rheumatoid arthritis. J. of Advanced Biotechnol.,	 2011,10 (10) : 10 – 12. 45. Ms. A. Nirmala	 Assistant Professor/ Biotechnology	 Biofiltration Efficiency of Three Sea weed species. J. of Res. in Biol.,	 2012,2 (4) : 338 – 347. 46. Assistant Professor/ Biotechnology	 Saliva as a Potential Diagnostic Tool – An Overview. Int. J. of Preclinical & Pharmaceut. Res	 2013,4 (2) : 93 – 98. 48. Dr. S.Vinoth	 Assistant Professor/ Biotechnology	 Genetic diversity of Azotobacter isolates from the rhizosphere of Saccharum officinarum	 Journal of Bioscience Research	 2012,3 (1): 6-13. 50. Dr. S.Vinoth	 Assistant Professor/ Biotechnology	 Evaluation of physiological, biochemical and enzymatic activity during accumulation of CoCl2 in Cyamopsis tetragonoloba (L.) TAUB and its impact on protein profile	 International Research Journal of Biotechnology	 2012,3(10): 198-206. 52. Dr. S.Vinoth	 Assistant Professor/ Biotechnology	 Effect of cyanobacterial extracellular products on high-frequency in vitro induction and elongation of Gossypium hirsutum L organs through shoot apex explants. 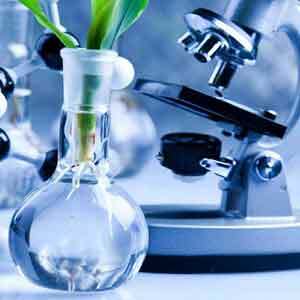 Journal of Genetic Engineering and Biotechnology	 2013,11 (1): 9–16. 56. Dr. S.Vinoth	 Assistant Professor/ Biotechnology	 The effect of amino acids on shoot multiplication in Cichorium intybus L.	 Journal of Swamy Botanical Club	 2014,31: 21-28. 57. Dr. S.Vinoth	 Assistant Professor/ Biotechnology	 Analysis of genetic variability in Arachis hypogaea L. using RAPD markers	 Journal of Swamy Botanical Club	 2014,31: 29-36. 58. Dr. S.Vinoth	 Assistant Professor/ Biotechnology	 Optimization of factors influencing microinjection method for Agrobacterium - Mediated transformation of Embryonic Shoot Apical Meristem in Cotton (Gossypium hirsutum L. cv.SVPR-2	 Int J Curr Biotechnol	 2014,2(12):35-40. 59. Dr. S.Vinoth	 Assistant Professor/ Biotechnology	 Evaluation of different carbon sources for high frequency callus culture with reduced phenolic secretion in cotton (Gossypium hirsutum L.) cv. SVPR-2	 Biotechnology Reports	 2015,7: 72–80. 60. Dr. S.Vinoth	 Assistant Professor/ Biotechnology	 Seaweed Extract Promotes High-Frequency in vitro Regeneration of Solanum surattense Burm.f:A Valuable Medicinal Plant. Research Journal of Medicinal Plants	 2017,11: 134-141.